With Grey Gardens I wanted to see if it was possible to showcase concrete in a way that casts it in a much more positive light,’ says Graham Domke, curator at Dundee Contemporary Arts. ‘The exhibition addresses concrete art and architecture since the 1950s to the present day and focuses on several sites across Scotland alongside more exotic locations in Mexico and Italy.’ The show is part of this year’s nationwide Festival of Architecture, created with access to the archives at RIAS and Historic Environment Scotland, and its focus on work from this time period and cast in this specific material should mean welcome attention for a less fashionable period of 20th-century architecture. 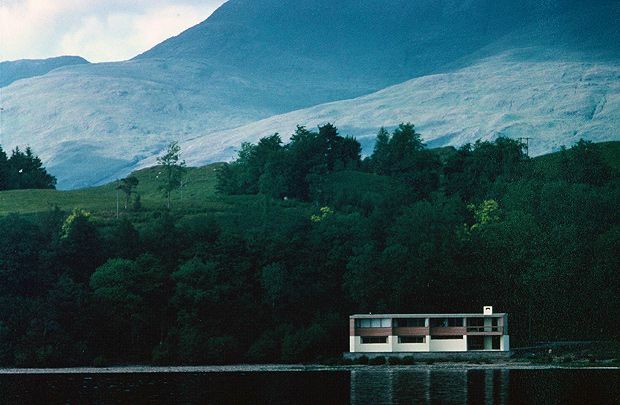 ‘The exhibition features modernist houses by the influential Morris and Steedman practice, as well as Peter Womersley's Bernat Klein Studio in Galashiels and his Port Murray residence in Maidens,’ continues Domke. ‘It also considers publicly sited town art in Glenrothes by David Harding and in Cumbernauld by Brian Miller. New Towns are much-maligned but I liked the utopian ideal that was pursued, if not always delivered upon.’ Elsewhere you'll see what Domke calls ‘the wilfully surreal concrete garden’ by the Scottish-born Edward James and Plutarco Gastelum in Las Pozas, Xilitla, sited in the Mexican jungle and photographed by Amanda Holmes, as well as work by Turner Prize-winning artist Martin Boyce, whose 2009 Venice Bienniale show was influenced by the Italian architect Carlo Scarpa. Dundee Contemporary Arts, Sat 27 Feb–Sun 1 May. Art and architecture inspired by modernity and nature. Featured architects include Morris and Steedman and Peter Womersley, while artists include Guido Guidi, Martin Boyce and Neville Rae.